ROK Universal is a company that has been on our radar for quite some time. Like any other e-cigarette enthusiast, we conduct our due diligence prior to making a purchase. 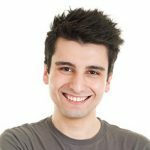 When we saw that ROK Universal had a ridiculous 99% customer satisfaction rate from over 1,000 real customers on the well-known review site eKomi, of course we were eager to try their products. So, we decided to purchase the all popular ROK Legend starter kit (for an incredible price no less). 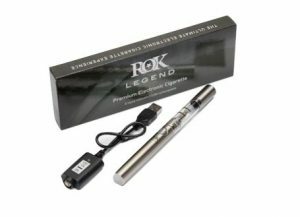 When it comes to longevity, the ROK Legend probably has one of the longest battery lifecycles we have ever tested. How much? About (a whopping) 15 hours of vaping usage (from a 900mAh battery)! That is almost two days of standard usage, or twice the amount of any other battery we have tested. However, the one slight downside is the battery responsiveness. You will need one or two pulls prior to seeing any real vapour volume. Once you get past heating up the battery, the vapour volume is in line with other eGo type of e-cigarettes, though it is nothing special. It is thick, giving you a vaping experience you would expect. Remember, this type of e-cigarette is for someone looking to break out of the beginner’s stage. Thus, the vapour volume is significant compared to a Cig a Like, yet standard in comparison to other eGo types in its category. The ROK Legend Kit itself is extremely standard and thus usability is simple. It is also a versatile product as the screw connection thread is 510. Meaning, it will attach to eGo and EVOD batteries. It’s a simple 3 piece product that attaches via twisting on and off. There is no learning curve involved here, which on the one hand is nice but on the other – it lets you know it’s a standard kit with no added features to it. Having some of the components “Made in China” have some nice positives to it – namely the price. For the ROK Legend Kit and what you get, the price of £23.98 is far cheaper than any other similar product on the market. Even with another brands’ coupon code, you will still pay less with ROK Universal. For a 900mAh kit, that is a steal. Aside from that, kit prices are very cheap and range between £20 and £50. You will be saving a few quid with any kit you purchase. In fact, we don’t believe there is another brand that can compete with ROK Universal’s price point. At first sight, ROK Universal’s customer service seemed very questionable to us. Their Contact Us page was filled with Chinese lettering, leading us to believe this brand outsources some of their components to China. In turns out they do, however they are no different from any other brand on the market (with the literal exception of one or two other brands who operate fully in-house). Keep in mind – this doesn’t make their products bad. Joyetech, a leader in e-cigarette sales worldwide, operates a ton in China. That said, other than the Chinese lettering, our fears were squashed when we reached out to ROK Universal. We called and emailed them several times (more so than any other brand because of the Chinese lettering). Each time was met with a reply within just a few minutes – even over email. They were helpful and were even able to explain the inner workings of their product. Unfortunately, ROK Universal will only give you your money back due to a faulty product. Meaning, if you are just unhappy with the product after trying it, you will not be able to get your money back. However, this only applied for 7 days and only as long as the product(s) is returned unopened. Orders over £50 are free (via Standard UK mail). Anything under that is between £3 and £15. That seems very reasonable compared to most other brands considering they offer more or less the same deal. However, ROK Universal is so cheap that it makes it difficult to get to £50 without placing a big order. So, if you are serious about the vaping world, then go for it. 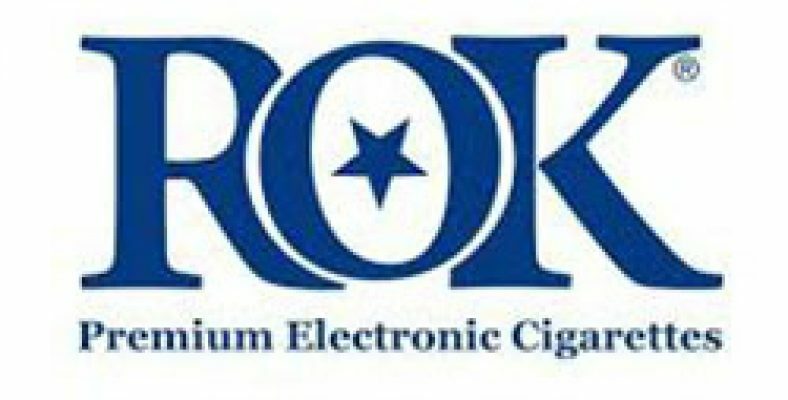 You can order a ROK Legend kit and 5 bottles of ROK e-liquid which will run you just over £50. Otherwise, chances are you will end up paying for delivery charges. Shipping is on the average side of the market, as it will take anywhere from 2-4 working days. Deliveries are generally made between 9-6PM in the UK. The ROK Legend Kit lives up to its reputation. It may not be the most glamorous or all-inclusive e-cigarette kit, but it certainly has a ton of appeal to it. The battery life is fantastic. The vapour volume is in line with what you get on a standard eGo kit. Their packaging is very unique. And, the price is unbeatable for the quality you are receiving. Yes, there are better options out there but be prepared to pay about £10-20 more for a similar product if you don’t go with the ROK Legend Kit.